Facebook is now experimenting with colored background options for its users. It is an approach for making text highly personal statuses which appear as appealing as photos. Facebook is now focusing towards improving the intimate posts from user’s friends. In place of the white background, this feature allows users to select a color that appears behind their text status. These are not just boring flat shades, the color options provide Instagram logo-style color gradients. This feature is being tested in specific regions abroad but not in US. No colors are available to users who don’t have the access to the test. But everyone will be facilitated with colors as soon as the feature rolls out to all the facebook users. Android users will have ability to create them whereas iOS, Web, and Android users will only be able to see them in their News Feed. 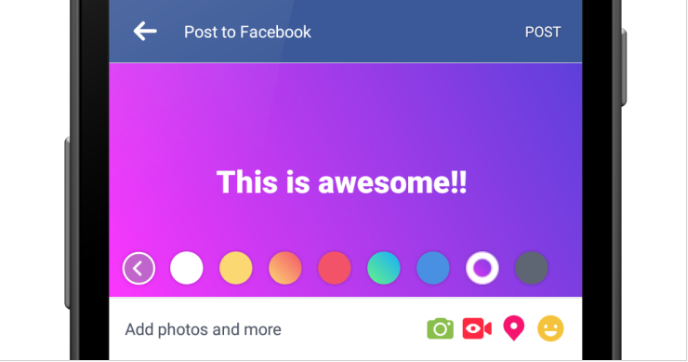 A spokesperson of Facebook wrote about the feature as it being rolled out for people in order to make their posts more visual with the ability to the background color of their text-only posts on Android. This will be helpful for boosting the sharing of unique personal content instead of sharing just news articles or viral videos. According to many reports, the social giant has been seeing a decline in original personal sharing by users. The original content broadcasting fell 21% year over year as mid-2015 whereas the original broadcast sharing went down 15% year-over-year as of April. 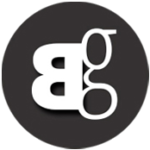 The company tried to present its original content sharing strong but the original sharing had shrunken due to more sharing of the professional publisher content. Prioritizing friends and family instead of publishers by Facebook will be helpful in restoring the lost place of its original sharing. With a big text feature, Facebook is already trying to encourage the text status updates. This feature puts words in a larger font size if the status is short. In this way it becomes more eye-catching to other users. Both these features can be considered an effort to copy the text-focused social network Twitter. Facebook at first appeared as a text-laden platform but mark Zuckerberg repeatedly pointed towards its richness of other features including video, 360, VR etc. Addition of flashy backgrounds is not bad as long as it does not has an effect on the original expression that can only be explained with simple words.